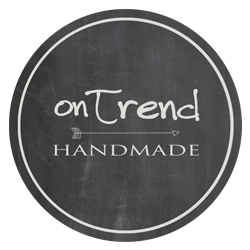 Announcing the 2016 OnTrend Holiday Market! Start your holiday shopping at our Holiday Market on November 27! 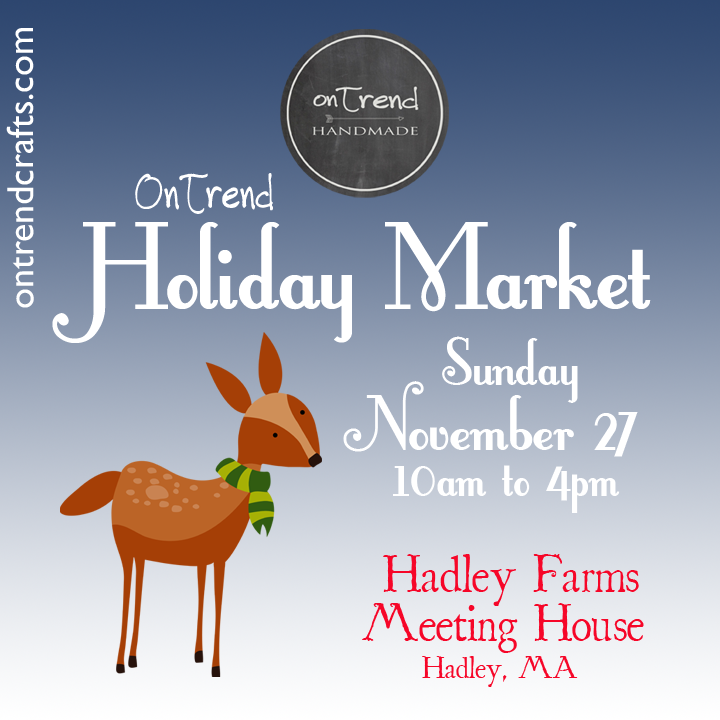 OnTrend is returning to the beautiful Hadley Farms Meeting House in Hadley, MA for this festive event. Both crafters and shoppers have raved about this venue. It is located on Route 9, between Northampton and Amherst. Click here for the list of crafters who will be selling! Directions from the north: take exit 20 off of I-91; turn left at the light onto Damon Rd. ; at the end of Damon Rd. take a left onto Route 9; the Hadley Farms Meeting House is approximately 1 mile down on the right. Directions from the south: take exit 19 off of I-91; turn right onto Route 9; the Hadley Farms Meeting House is approximately 1 mile down on the right.